Dr. Jing Shen is an Assistant Professor of Clinical of Environmental Health Sciences at Columbia University, Mailman School of Public Health. Dr. Shen completed PhD from Peking University. Dr. Powell has authored various articles. 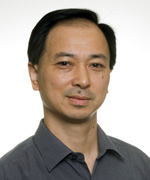 Dr. Shen's research interest is in the field of molecular epidemiology of cancers with focus on understanding the role of genetic alternations and their interactions with environmental factors in populations. His previous work includes studies of DNA repair genotype, phenotype and their associations with breast cancer risk; studies to determine the role of telomere dysfunction in breast cancer risk, and the potential modifying effects of oxidative damage, antioxidant capacity and genetic polymorphisms in key telomere stability genes. His current researches will continue focus on the role of telomere dysfunction, genetic and epigenetic changes on the risk of breast, liver, gastric and prostate cancers.